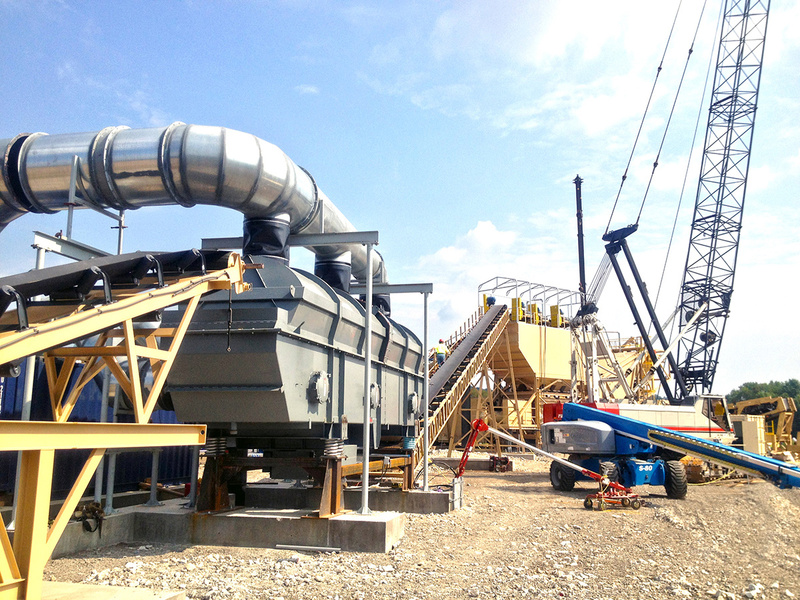 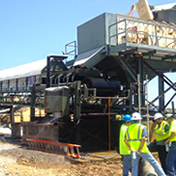 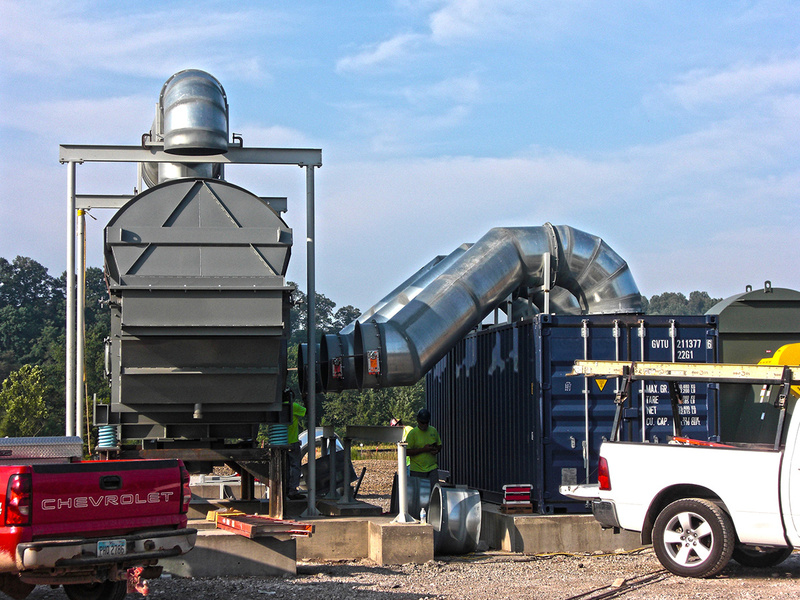 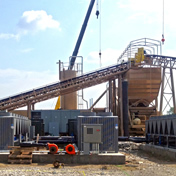 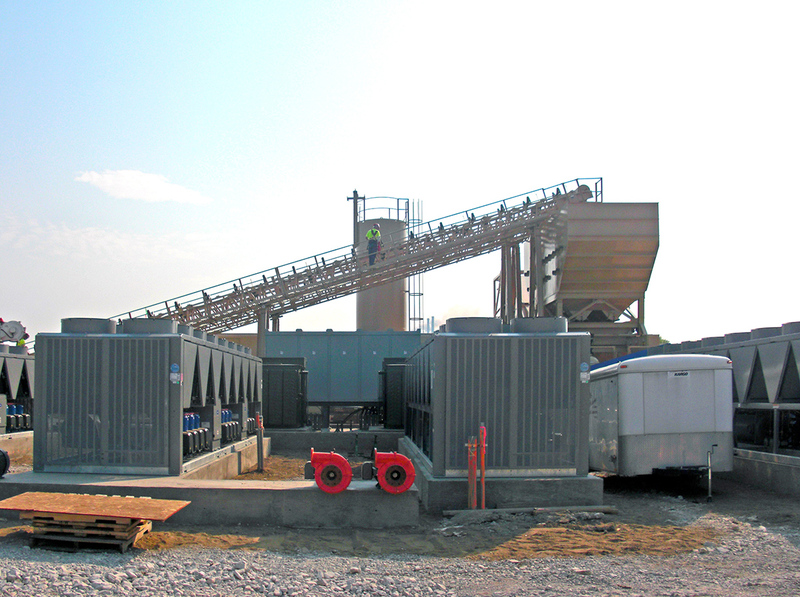 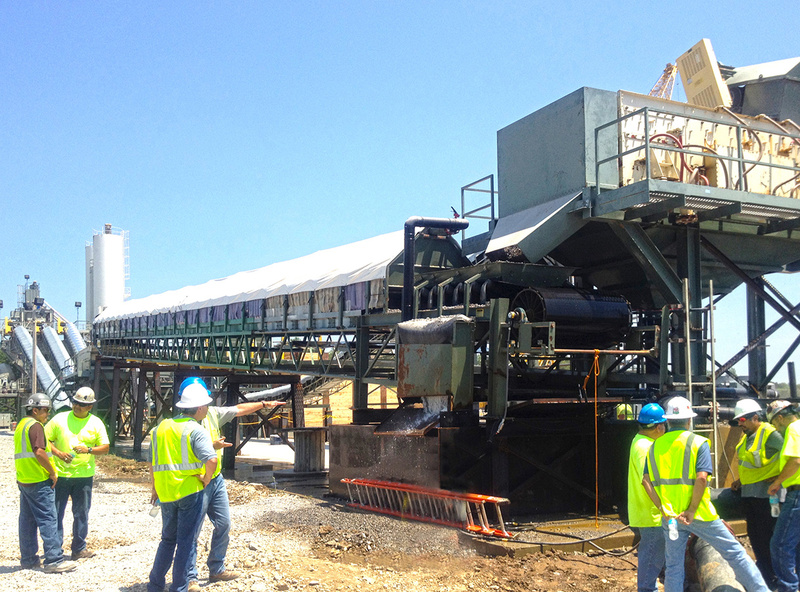 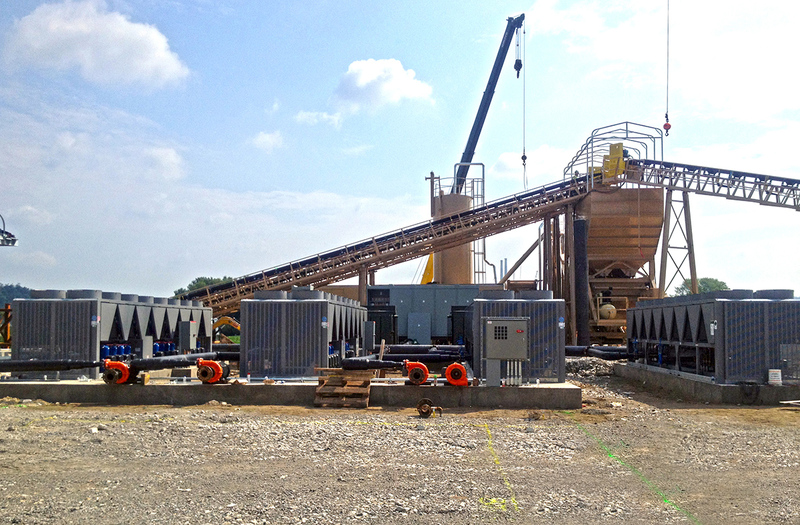 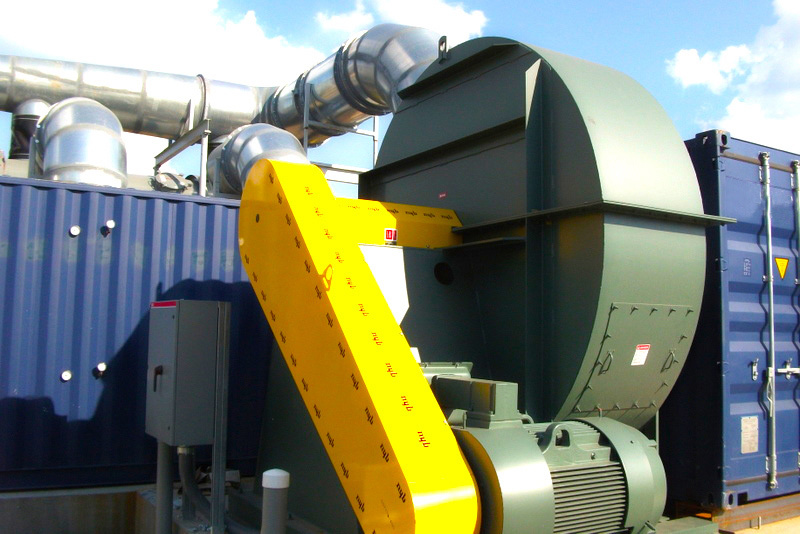 ConCool Scope: Design, supply and supervise installation of a cooling system comprised of a 150&apos; x 60" wet belt, sand chiller, forced air cooling to batch plant aggregate bins. 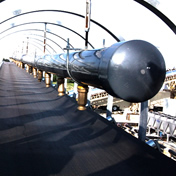 Temperature control automation. 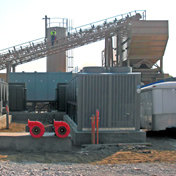 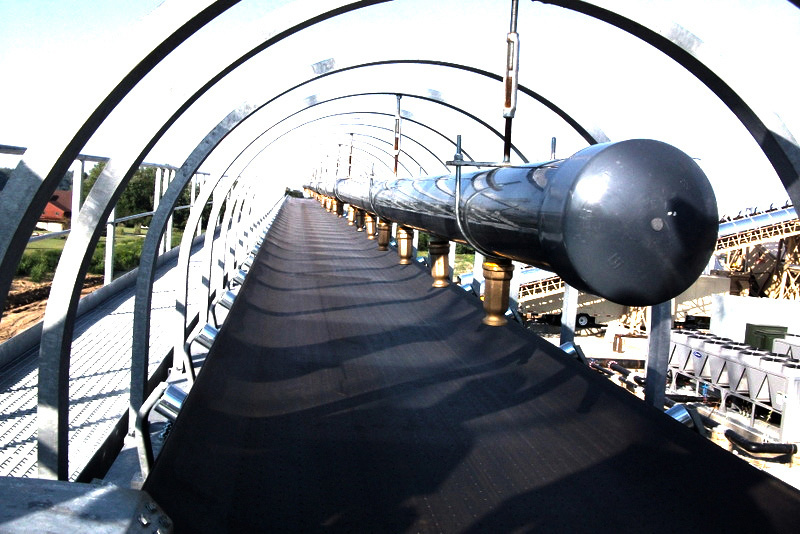 When Ruhlin Company was awarded the Willow Island Hydroelectric project in St. Mary’s, WV on the Ohio River, Concrete Temperature Control (a brand name of ConCool) was hired to meet the exacting requirements of the owner, AMP of Columbus, OH. 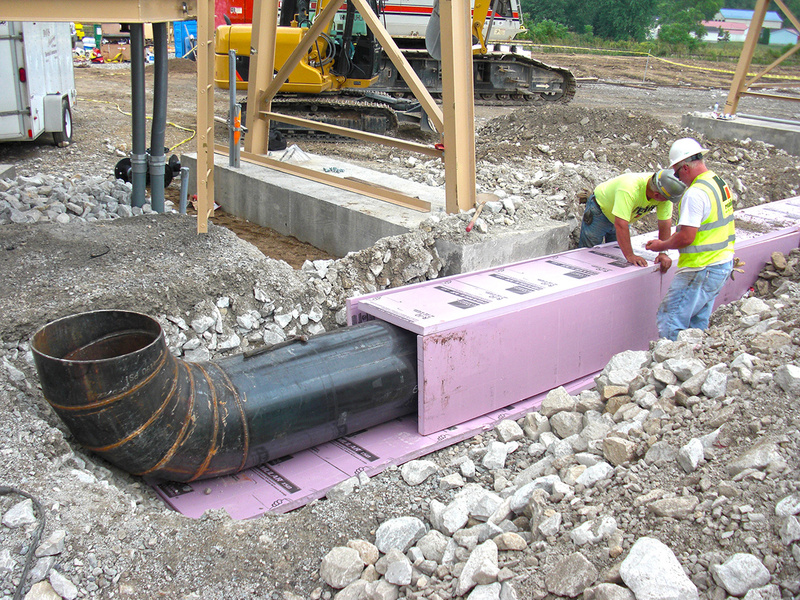 CTC and ConCool were required to provide all systems necessary to achieve a concrete placement temperature of 55°F (12.8°C) throughout the year. 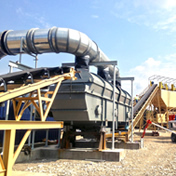 ConCool studied all the available options and decided that a combination of a 150&apos; (46m) x 60" (1.5m) large aggregate Niagara® Wet Belt, a Blue Northern® sand chiller and Glacier® forced air cooling to the aggregates with a liquid nitrogen back-up would provide 100% confidence in meeting the target placement temperature, despite ambient summer temperatures in excess of 100°F (38°C) with relative humidity as high as 95%. 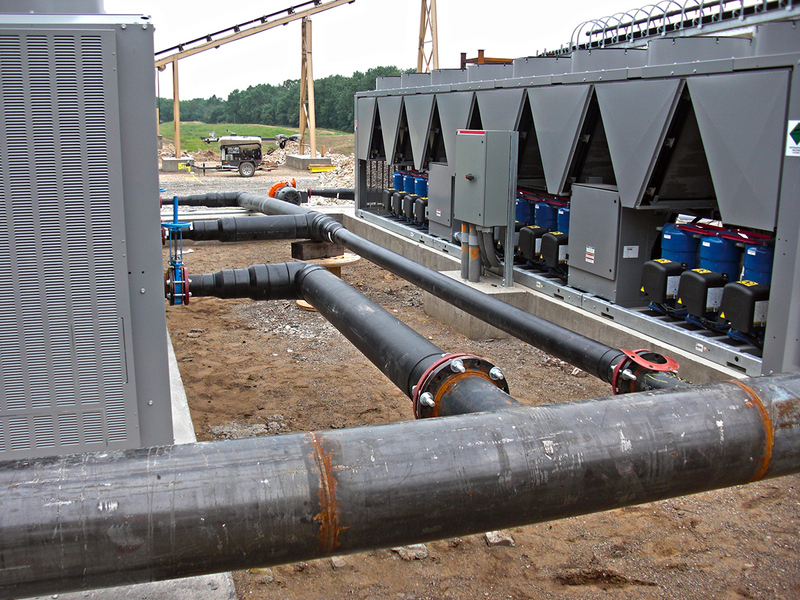 These active systems, along with a sophisticated temperature control automation system were supplied to the Ruhlin Company, and installed by Ruhlin Company technicians under the supervision of CTC/ConCool. 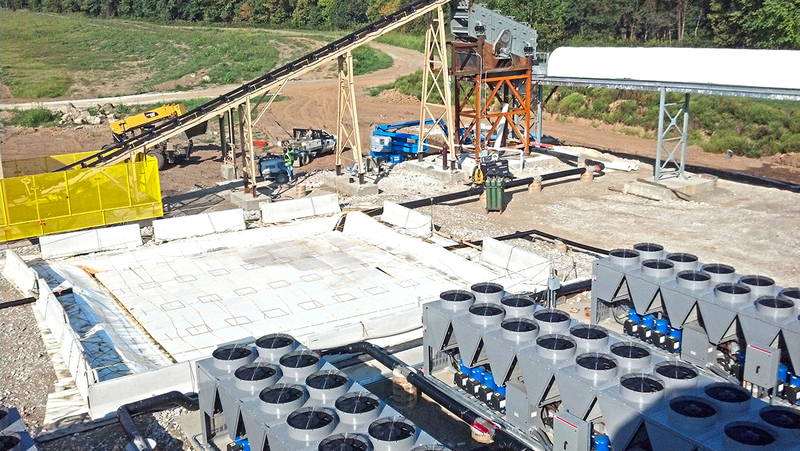 This will allow the cost effective production of super chilled concrete during critical months while allowing concrete pouring 24/7. 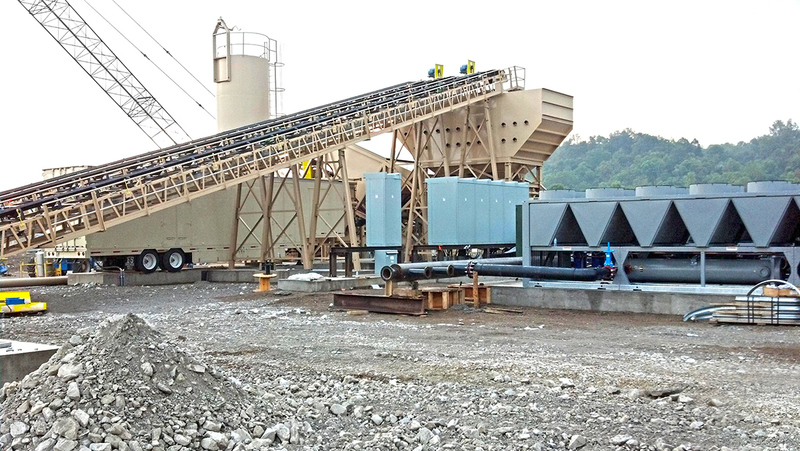 In this project, all of the systems provided by CTC/ConCool and the concrete production system contractor Plant Outfitters is also capable of producing the hard rock fill required to meet the technical challenges on a project of this nature. 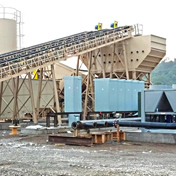 Once again, ConCool’s process-oriented approach permitted their client to meet a tight specification without the investment in and operating expense of a dry flake ice machine.